You don’t just steal one of these from your tv remote or something else. You will pay a high price for them if and when you buy them. You can buy them on the ‘net much cheaper, but still 2-3 times what a good AA or AAA battery would cost you at Lowes. They’re bright and most of them stay bright for the duration of the cell… and then they go dead! Very dead! Very quickly! …and you’re left in the dark with a flashlight that’s about as useful as rubbing two sticks together. 1. 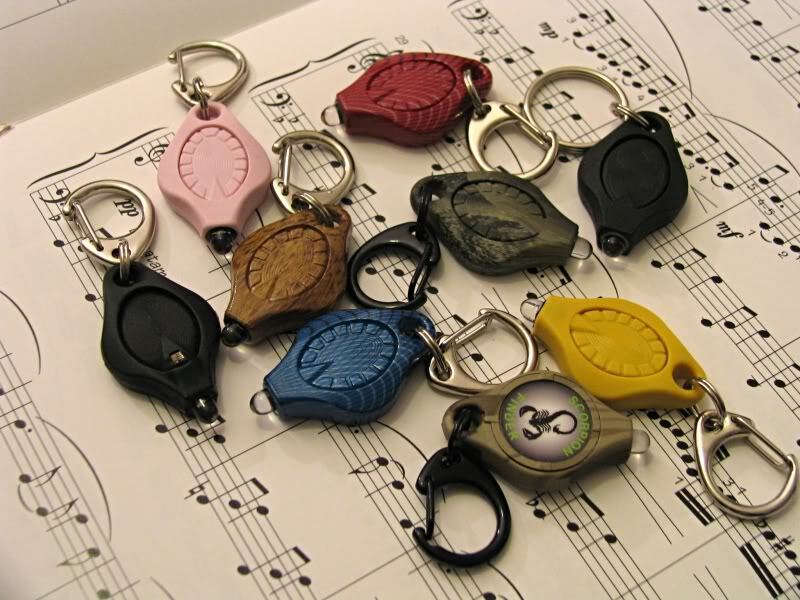 Get yourself a LRI Photon Freedom for your key chain!!! You’ll never know it’s there until you need it, and those things are bright in total darkness when you can’t see jack shi… er.. what’s in front of you! I remember growing up in the country with the old 2D incan flashlights that you had to strike a match to see if it was burning. These Photons are MUCH better than those were, and if you carry your key chain all the time, you’ll always have a very good light with you. They make a model that uses a tiny switch instead of squeezing the sides to turn it on (Photon ll). I would prefer those if they come with the Cree bulbs in them (I think they do). I’ve pulled my keys out once in a great while with my squeeze type Photon and found the light on. Not very often, mind you. 2 or 3 times a year maybe. The one with the micro switch never came on unless I turned it on myself. Yeah, the squeeze one has cool features on it, but I’ve NEVER used one of those features other than to play with it. Photon ll or Freedom Key Chain! Get one! Then get one for the lady… and the kids… and Mom & Dad. You get the ideal. Hang them on the Christmas tree and let the recipients pick out the one they want. They come in different color beams (always buy the white unless you have a special need for something else). And don’t buy the cheap imitation ones either! 2. 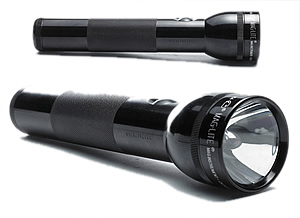 Get yourself a couple of 2D Maglite LED’s. Some make fun of them because you can’t stick it in your pocket! Well, you could, but not for long without it falling out. (The ladies might think you’re REAL happy to see them if you put one in your front pocket ). But for home use… you can’t beat them. Turn one on and set it on the table. Come back tomorrow, and it will still be on and shinning!!! 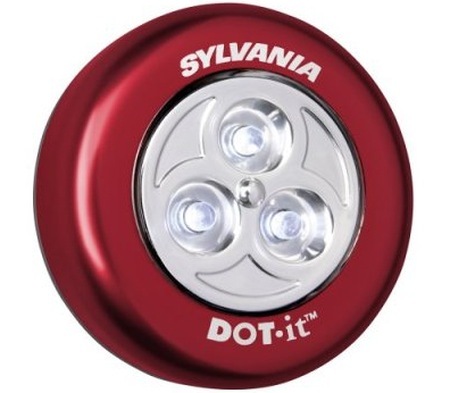 Great back-up light for when the power goes off, and it makes one feel a bit safer when you’re outside and don’t know what’s out there waiting for you… as in “club” safer!!! And the batteries? They’re like Santa Clause. They’re everywhere! 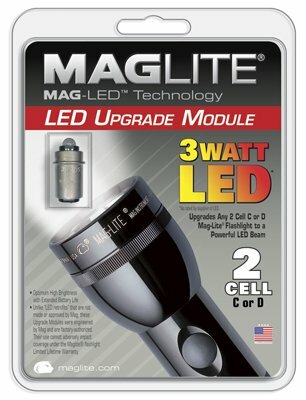 I recommend getting the one that is sold as an incandescent, and buy the Maglite LED drop-in bulb to go in it. 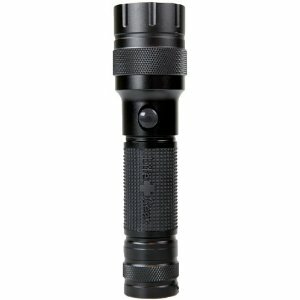 I’ve heard some say the color is sometimes better in the drop-in as opposed to the Maglite LED combo. Not sure myself. I’ve always bought them separate because I had already purchased the Mag’s before the LED’s came out. Get one… or two… or three! …and they come in colors (Red is easy to see when you’re looking for it). 3. 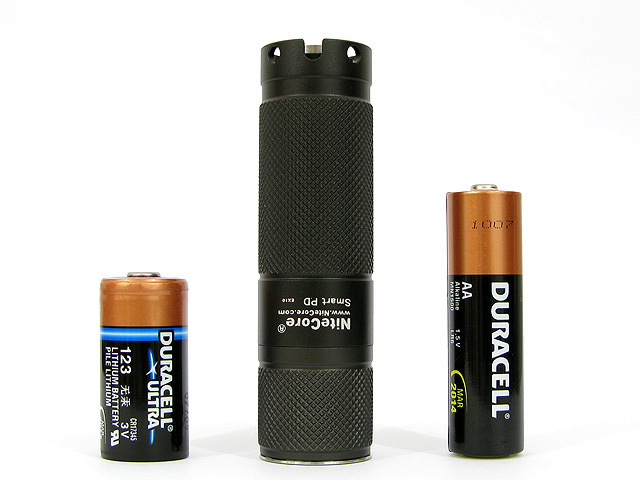 For something portable, real bright, in your pocket type flashlight, you will not beat the Highland Series single AA Lifegear sold by Target for cost, brightness, durability and runtime. It’s a real sleeper of a flashlight. I have about a dozen!!! 20 bucks each (including tax)! They’re about 4.25 inchs long by 1 inch diameter. Rated at 80+ lumens (about the same as the Mag), I think they’re the cat’s meow! DON’T use lithium batteries in them, or any flashlight in my opinion. Not because they’re bad batteries…. they’re very good. I just do not want to put myself in situations where I really need a flashlight and it suddenly go dead. That’s the way these batteries work. Real bright for 2-3 hours, then WHAM! It’s dark everywhere! …and you’re in the middle of it. The Lifegear is, I think, regulated for good Duracells or ever-readys. I have personally tested one of mine and it will burn full brightness for 2.5-3.5 hours before it goes out of regulation. Then it uses the remaining power in the battery to run another 5-6 hours at diminishing brightness. At 3-5 hrs, mine ran at about 50-60% brightness, 5-7 hours at about 25-35% brightness. At 7-9 hours, it was still as bright as the former mentioned Proton Freedom at full power. I like it because it doesn’t just suddenly go dead, but slowly drains the batteries so you have time to do something about it. They’re hard to find now. I think Target’s is discontinuing them, but I’ve found them shopping on Amazon via the net. It’s the single AA Lifegear. Wonderful little torch. The only thing I dislike about it is it’s a rear clicky. I don’t like holding my flashlights stuck up beside my head like hollywood cops. Side clicky lights are more natural for me to hold and turn on/off with the head next to my thumb. Call me old-fashioned. I just don’t like holding a flashlight backwards! Lifegear also sells an AAA flashlight with the switch on the side where I think it ought to be. Don’t really like AAA flashlights, but this one is too nice to not have one. It probably takes all 3 of the AAA’s to equal 1 AA battery in amp hours. The size reminds me of a good compact 2C flashlight, which no one makes anymore. I love mine. Wish I had a few more. The AAA looks like a real flashlight to me also. By that, I mean the head is a bit bigger than the body. Most of these type lights look like short fat cigars (not that there’s anything wrong with a good short fat cigar), and can slide out of your fingers easily. I put a rubber anti-roll head made for an AA maglite on the Lifegear AA to make it a bit bigger. Won’t roll that way also! With the head being a bit larger, it gives you something better to hold on to. After all, we are men. 4. The last light I would recommend is found at Lowes. 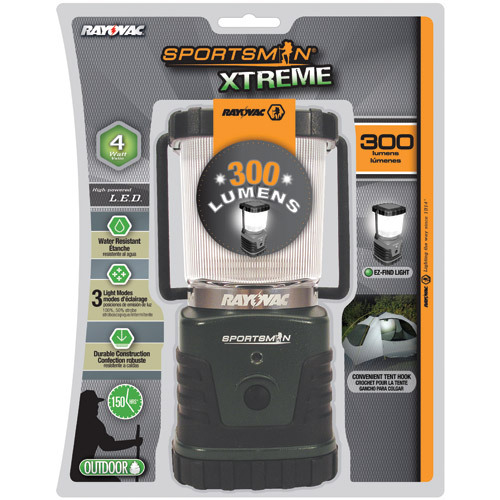 It’s a 300 lumen Rayovac “Sportsman” lantern. Uses 3 “D” size batteries, same size as the Mag’s. It’s BRIGHT! It’s compact! It has a great runtime and has a good beam without too many artifacts. It’s 25 dollars! Less than a Mag LED! Get a couple for when the lights go out! Much better than everyone having to carry a flashlight around in the house when it’s dark. I’ve tried several lanterns and this one is a keeper! I am also fond of the round LED stick-up lights. Most I’ve seen had three .5mm LED’s in them and run off of 2 AA’s or 3 AAA’s. The metal one might be better. Makes for a great area light in the house when you don’t need BRIGHT! Works great stuck inside a cabinet or closet also. First one I purchased was probably 2 years ago. I use it quite often, and it still has the same batteries. Don’t understand that! 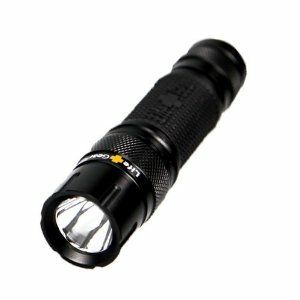 Well, this is probably more info than you were looking for about flashlights, but maybe it’ll help out someday. Took me several years to find the lights that worked for me and my family. Maybe they’ll work for you too. This entry was posted on May 2, 2010 at 2:25 am and is filed under SOMEDAY YOU'RE GOING TO NEED THIS....	You can follow any responses to this entry through the RSS 2.0 feed. Both comments and pings are currently closed.